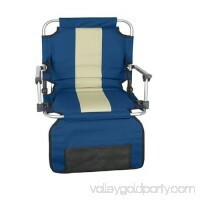 The Kamp-Rite Director's Chair provides the ideal combination of comfort, convenience and functionality. 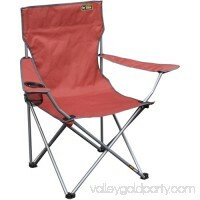 Its sturdy frame has an extremely durable aluminum cons.. 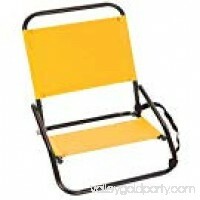 The sandpiper sand chair is yellow. It is made with heavy gauge powder-coated steel. 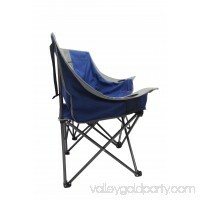 It features a mesh pocket in the backrest for essentials, and a shoulder st..
Stay comfortable at sports games, concerts and any other event with this Folding Stadium Seat. 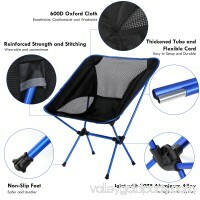 It has a uniform design that allows it to fold compactly with sec..
Own the Ozark Trail Adjustable Lumbar Mesh Chair and own a comfortable seat in the great outdoors that will help support your back! With 100 percent polyester s.. 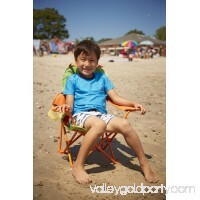 This Quik Chair 1/4-Ton Heavy-Duty Folding Armchair is designed for maximum comfort and durability wherever you happen to be. 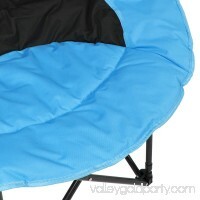 It has a 25"-wide oversized seat a.. 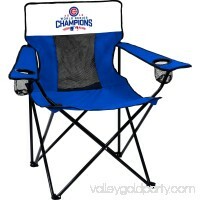 The Elite Chair is ideal for watching the big game, sitting out at the next backyard party or just for relaxing outdoors. With a simple but classic and vibrant ..
Our new angled extra-wide 2 person conversation chair provide vey roomy space (easy in and out and easy face to face conversation) with 2 built in cup holders, .. Bold stripes and big blue eyes provide a unique seat when your busy child needs to take a break. 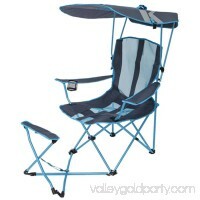 With handy cup holder and sturdy metal frame, this folding chai..
Kelsyus Original Canopy Chair with Ottoman - Light Blue/Gray Kelsyus Original Canopy Chair with Ottoman - Light Blue/GraydetailedDescription":"Experience except.. 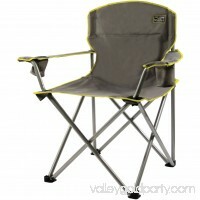 Enjoy comfortable seating outdoors with the Quik Chair Folding Quad Camp Chair. 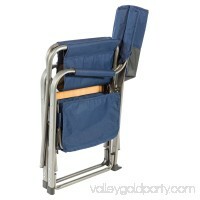 Lightweight and easy to pack and set up, it goes everywhere and is ready to use .. It's about time that a day at the beach was really a day at the beach. 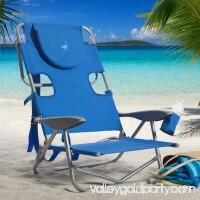 That's what you'll get when you have the Ostrich On-Your-Back Backpack Beach Chair accomp..